Esports Betting UK | Who Are The Highest Earning eSporters 2018? 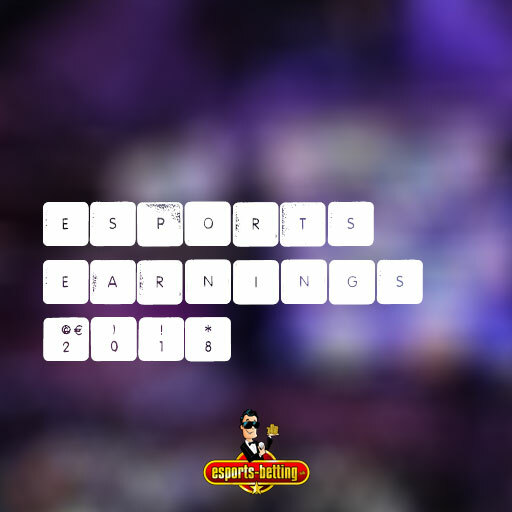 Your #1 Information source about Esports Betting! Many people especially younger ones have dreams of playing all day while earning money. It did not become a dream come true for all. However, there are still some who made it real. They won millions of dollars while they are in it. The number 5 spot belongs to Lasse “MATUMBAMAN” Urpalainen. This 22-year-old Defense of the Ancients 2 player from Finland earned a whopping $2, 926, 465.64. He first became known when he won the Assemble Summer 2014 tournament. Many DOTA 2 fans admire him because of how he plays Ember Spirit and Tinker. For the Frankfurt Major, he is currently joining 5Jungz. This team was formed by their captain KuroKy. He is part of the team who won the International 2017. Number 4 is Ivan Ivanov from Bulgaria. He is popularly known as Mind_ContRoL in DOTA 2. His current earnings amount to $2,926,761.36. His career started with Vast Cast in February of 2014. He went into the TI5 shuffle as a free agent. Later on, he was recruited by Team Liquid. He joined MATUMBAMAN and JerAx who played the roles of carrying and roaming respectively. The team became a powerhouse of fearsome DOTA 2 players, and it enabled them to win the EPICENTER Lan which was held in Moscow in 2016. At TI7, MinD_ContRoL carried Team liquid to victory with his outstanding play against LGD.Forever Young on his character as Nature’s Prophet. The 3rd spot goes to Saahil Arora who garnered total earnings of $2, 971,603.47 as of this writing. He is popularly known as UNiVeRsE. He was offline for the team Fnatic. Saahil won 1st place in the International Tournaments in 2015 while being a part of the group of Evil Geniuses. He is best known for the “Six Million Dollar Echo Slam” as Earth Shaker. This series-clinching play enabled him to win the International 2015 against the Chinese team CDEC by stealing the immortality from Roshan. Number 2 spot goes to Amer Barqawi. Amer currently has earnings of $3, 159,686.68. He is popularly known as Miracle. Barqawi is presently in Team Liquid. He is a Jordanian/Polish player who reached 8,000 MMR in DOTA 2. Amer won the Frankfurt Major Championship when he was with team OG. He also placed 1st in Manila Major, and the International 2017. As a result, in September 2016, he joined Team Liquid, and he won the largest prize pool in any eSports tournament which was nearly $11,000,000. The first place goes to Kuro Takhasomi. Kuro is popularly known as KuroKy. He has earnings of $3, 586,277.75 He is 25 years old and is a German player of DotA 2. He is part of Team Liquid. His typical role is support and captain. Nonetheless, he was able to compete in every International Games since July of 2017. So his record came from winning 1st place in the Epicenter 2017 games. The International tournament 2018 will be held in August. The location is in Vancouver, Canada and several teams are now starting to form their best players since the prize pool can increase by more than $20 million. Many experts reveal that the key to being one of the top earners is practice. So your motivation should not only be the money but also improve how you play the game. If you are not into computer games but more into casual online gaming you might want to check out one of the best comparison sites for the best casino sites in the UK at www.best-casino-sites.uk.